Fair. Slight water damage / staining to few pages, cover frayed **SHIPPED FROM UK** We believe you will be completely satisfied with our quick and reliable service. All orders are dispatched as swiftly as possible! Buy with confidence! Very Good. 0963386190 ALL BOOKS SHIPPED WITHIN 1 DAY OF PURCHASE! I haven't read the whole book yet but it appears to be a great help. I'm a school social worker and recommend this book and the CD's to every parent who has concerns about disipline. I used the system myself when my children were young and it did work like magic. In my experience too many adults and teachers try to talk children into behaving. If this doesn't work the first 100 times, they go to 101. If talking, lecturing, pleading, bargaining, threatening, etc., worked, no parent or teacher would have a problem. Talking doesn't work when it comes to misbehavior. It actually reinforces the poor behavior; wastes the parents time and energy; and gives the child too much power. Get the book and CD's, give the book and CD's. They have them in Spanish also. excellent book that is line with behavioral modification and problem behaviors seen in several children today. 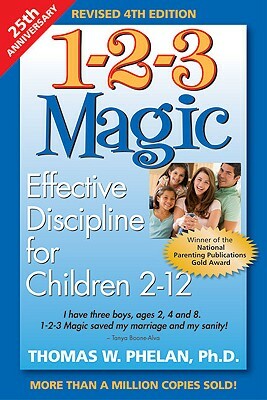 The book is probably the best guide to discipline and having good parent-child relationships on the market today. It is also the only book recommended by my daughter's pediatrician on his handout to parents. It was recommended to me by a nanny (I am a grandmom and former teacher) and I have found it to be everything she said. I would recommend it to any parent or teacher. This book starts with the simple steps and then brings the reader into greater detail with specific items and issues they may face with the child. It includes conversation tips, dealing with tantrums, using praise, positive attention, homework routine and much more. The author also includes information on consequensing and oppositional defiance and conduct isorder. It uses very simple language in a sometimes humourous way. This is an important tool when working with or living with children of all ages, even those over 12. It gives the reader a clearer picture on relationships, power struggles and even where our own behavior and character comes from. I have shared this book with many families and co-workers. Many have benefited. It is fabulous!